WHAT IS IT LIKE TO ORDER FROM WICKED WAISTS? Our aim is to provide you with the smoothest possible journey through the process of purchasing a Ready to Wear, Made to Measure or Bespoke garment. We are here to service you and to service you well. So if you want something plain, out of the ordinary or downright freaky you’ve come to the right place! We stock and create clothing and accessories for those of you who want something just that little bit different. Perhaps you’re looking for something to make you want to turn to the dark side and give in to your darkest desires? We also offer free shipping on all UK orders. So why not take advantage of the opportunity to order the items you’ve always wanted? HOW DO YOU MAKE SURE THE SIZE IS CORRECT? If you haven’t done so already, register with us and create your customer profile. Browse through the shop and find the right garments for you, or use your imagination! If you don’t see what you’re looking for you can upload your ideas in your customer profile. We will contact you to discuss your profile and your order, and then we’ll begin the process of preparing your order. HOW DO I ORDER A BESPOKE DESIGN? Visit the Bespoke Design section of our website to view some of our current designs. Once you’ve decided you like what you see, fill in the Bespoke Design Enquiry form to let us know what we can make for you. You’ll also need to register with us and create your customer profile to input your measurements, upload images of your design ideas, and share any other information with us that you’d like. We’ll contact you to discuss your design ideas. Then we’ll send you a complete design specification for your final approval before proceeding, including full costings and labour. In most cases we will undertake to complete work within 28 working days. However depending on the complexity of the design required, we may have to extend the times accordingly. As always, please feel free to ask as many questions as necessary! 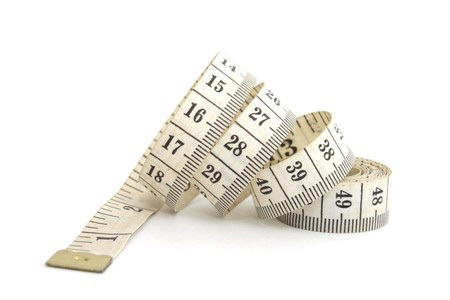 If you’re measuring on your own, an elastic band can be useful for holding the tape measure in place (e.g., when measuring from wrist to shoulder). In some cases it’s useful to have two tape measures to hand. 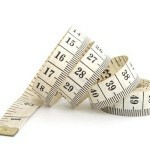 If you’re buying a skirt, you only need to give us your hip and waist measurements plus length required. For TV’s, please be sure to wear the foundation garments (corsets, etc) you would normally wear. Let us create the clothes of your dreams – from a simple blouse or skirt to the most elaborate gowns and costumes. We offer a full design service to your requirements.